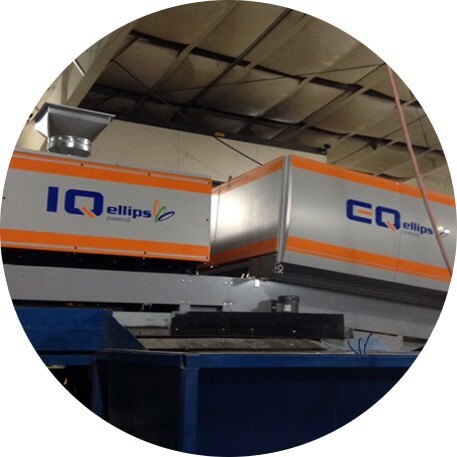 With this module, you can operate labelers (such as Sinclair) so that a sticker is affixed to a product. 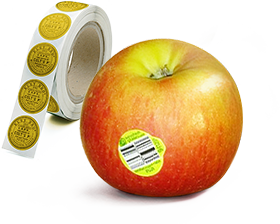 Using Produce Labeling, you can specify what percentage of your products you would like to affix with a sticker. You can also use different rolls of stickers for each lane, so that for example class A is given a different sticker than class B. The sticker is often seen as a quality mark. With this module, you specify the ideal weight for a package. 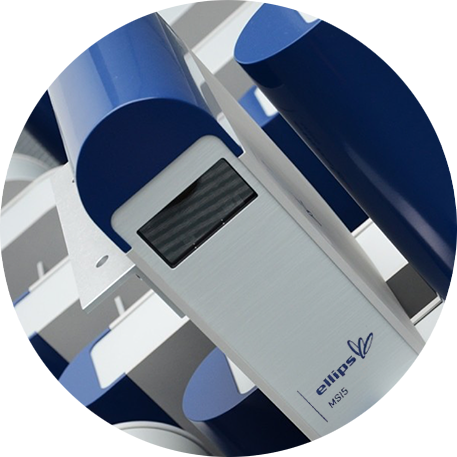 Accurate Fill then fills the packages as efficiently as possible at the exit – the largest possible number of packages will be made with the same number of products. This also means that the specified weight will only be slightly exceeded when the final product ends up in the box. The packages can be optimally composed when there are multiple (at least 3) exits available. Using Dynamic Exits, the system determines for itself what class will be assigned to which exit. For example, if there are many class A products, Dynamic Exits opens an extra exit. The operators, therefore, do not have to specify the settings themselves or to check whether an exit is overflowing. The module works in combination with our TrueTouch touchscreen display to indicate at the exits what class is assigned to the exit. With Exit Control all actions at the exit are handled. For example, a lamp can be lit when a package is completed or the belt can be stopped, so that no new products fall into the box or crate. Exit Control can also ensure that the exit belt is filled evenly. 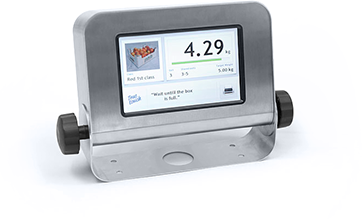 Combined with our TrueTouch touchscreen display, you can also temporarily stop the delivery to the exits, for example, based on weight.